Can you imagine a Liberty Ave. without bike lanes? Neither can we! Believe it or not, the bike lanes were installed in June 2007, and have become an integral part of the city's traffic network. 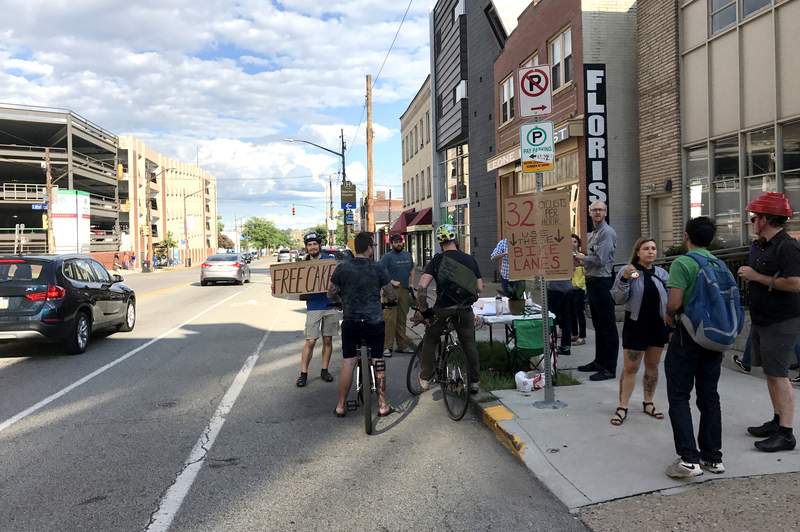 It's also BikePGH's first bike lane that they successfully advocated for, and the first bike lane the city installed since 1982. Pretty awesome, right? 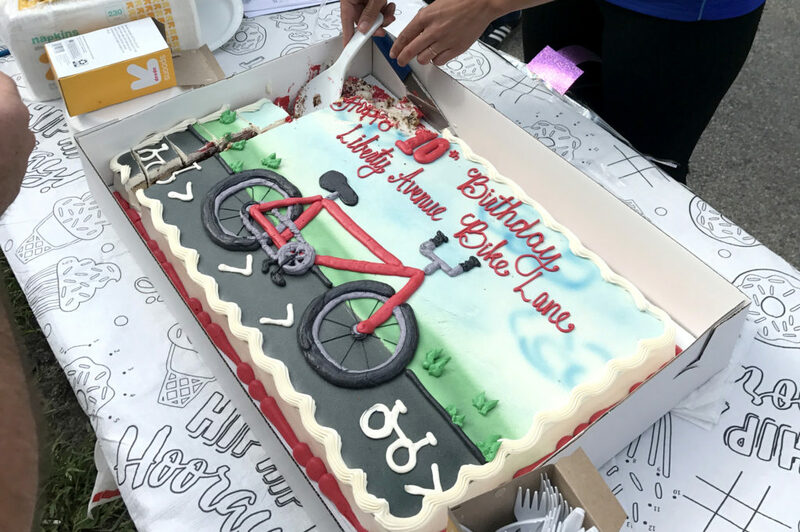 So join Bloomfield Livable Streets, Better Streets Lawrenceville, and BikePGH & come out for a 10-Year Birthday Party on Liberty Ave. with cake, fun, and friends! Did we mention there will be CAKE? NOTE: This celebration will take the place of our regularly scheduled June monthly meeting. See you in July! Afterwards, join us for a happy hour at Caliente Pizza House, 4624 Liberty Ave.